Or click here to ask us a question about this light! Our DUPLEX 5 - 50" SCENE light gives an impressive 120 degree spread of light making it an ideal close area light. Fitted with four sided reflectors with the LEDs mounted closely together in the centre. The wide aspect of the reflector creates an incredible 120 degree spread of even light compared to a Diffused light with is only 60 degrees. As the reflector is straight edged the light emitted can be concentrated in a specific area by the operator. Ideal when you do not want glare off the side of a vehicle. 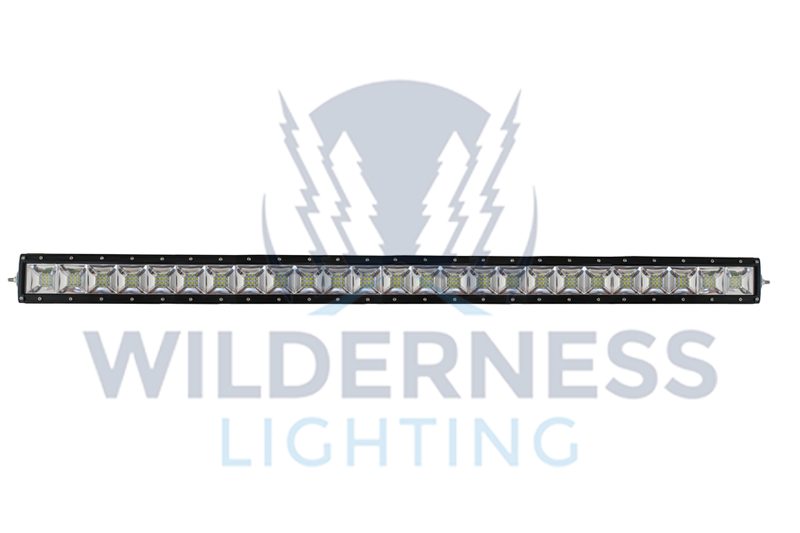 The light belongs to our range of double row light bars, these small yet very powerful lights produce a massive 28,000 Lumens of light from 100 x 5 watt OSLON white LED chips. The low energy consumption technology means they only consume 21.0 amps of power. Compare these figures to a standard 55 watt halogen light found on many vehicles which produce only 900 lumens of light while drawing 4.6 amps of power. These lights not only look good but they are also very tough..... with a market leading water and dust ingress rating of IP69K meaning you can actually wash the lights with a high pressure spray with a temperature of up to 90 degrees - this rating is the highest level achievable and usually found within the food industry for sterilising products. As the lights are fully water and dust proof they would be equally comfortable mounted on a boat and can be fully submersed in water for long periods. The housing of the light is made of weather-resistant and waterproof aluminium and coated with a UV-resistant paint to prevent chipping and fading for a lasting finish. The standard colour is black however we can supply these in a marine white finish. Custom paint colours can also done at extra cost . The lenses used are equally hard wearing as its aluminium housing. The 3mm Lexan lens are optically transparent despite being unbreakable and scratch-resistant. All our lights come with a water proof Deutsche connector on the light together with a full wiring harness including switch, power surge protection, relay and ring battery connections. The loom can be used to run the lights in a matter of seconds on a temporary basis or the components can be used on existing vehicle wiring for a permanent fix.